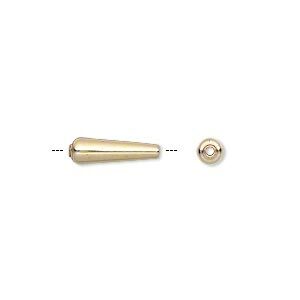 Bead, 14Kt gold-filled, 13x4mm teardrop. Sold per pkg of 2. 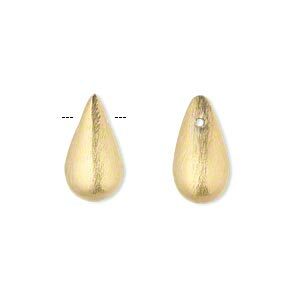 14Kt gold-filled teardrop beads are ideal for earrings and dangles. Beads have a 1mm hole. 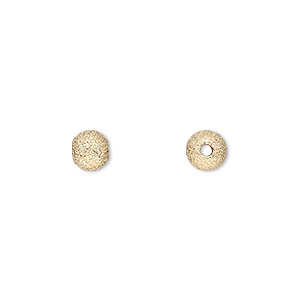 Bead, 14Kt gold-filled, 12mm stardust round with 2.5mm hole. Sold individually. 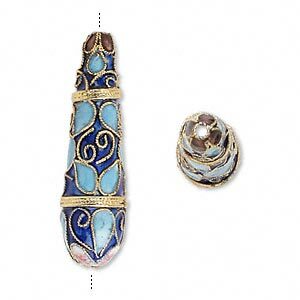 Bead, cloisonné, enamel and gold-finished copper, blue and multicolored, 42x12mm teardrop with swirls and teardrops design. Sold per pkg of 2. 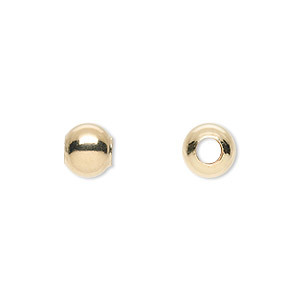 Bead, SmartBead BPS, silicone and 14Kt gold-filled, 6mm seamless round with 2.5-3mm hole. Sold per pkg of 2. Bead, 14Kt gold-filled, 6mm stardust round. Sold per pkg of 2. 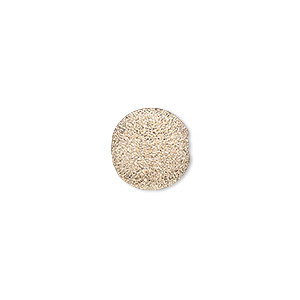 Bead, SmartBead BPS, silicone and 14Kt gold-filled, 6mm seamless round with 1.5-2mm hole. Sold per pkg of 2. Bead, SmartBead BPS, silicone and 14Kt gold-filled, 8mm seamless round with 2.5-3mm hole. Sold per pkg of 2. Bead, 14Kt gold-filled, 8mm stardust round. Sold per pkg of 2. 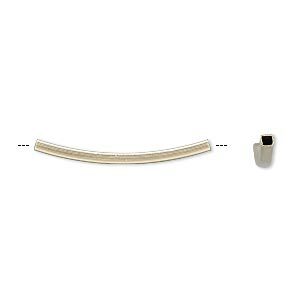 Bead, 14Kt gold-filled, 8mm seamless smooth round with 4mm hole. Sold per pkg of 2.